The 2011 racing season was not kind to me. It started with a catastrophic engine failure on the warm up lap for the first race of the year (totally due to my own maintenance negligence), and was punctuated throughout with crashes, more parts failures, and just plain bad luck. It was equal parts frustrating and unusual for me, as i’m not always one to make boneheaded moves on the track, or get lazy about upkeep on my kart. As a result, i’ve decided to refocus for 2012 and realign some of my priorities. Top of that list was finding some new equipment, namely a chassis. 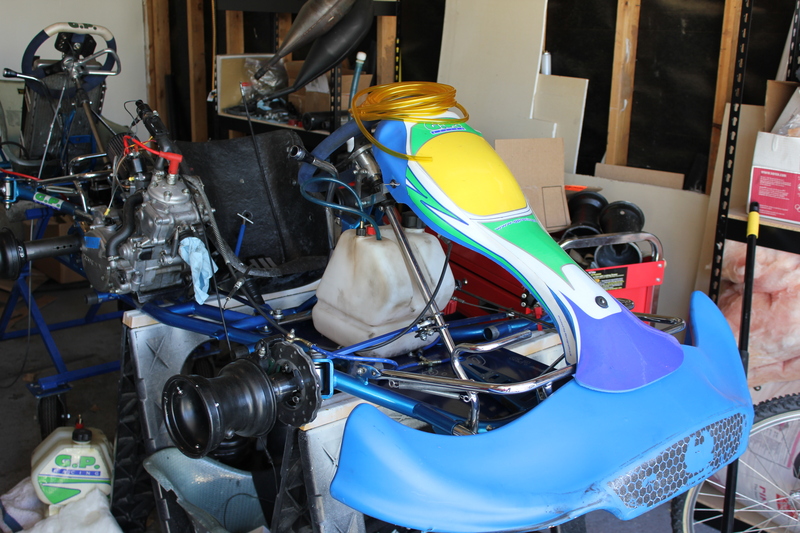 Never in my karting career have I had the pleasure of buying a brand-sparkling-new chassis, it’s always been out of my budget. But this year i’ve found the next best thing, a lightly used 2011 GP10 125cc shifter chassis with the awesome Ceramic Ven05 brakes. I’m pretty excited about this! I’ve been on the GP chassis since 2007, and we have a great group of guys who race them here in Colorado. The support has been amazing, so I was happy to stay with GP, but the main reasoning behind upgrading my older GP8 was the brakes. 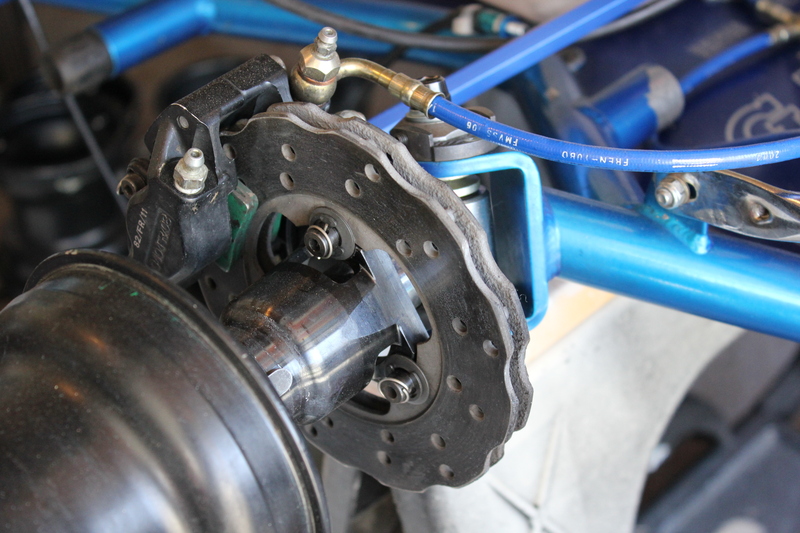 I’ve heard nothing but good things about the Ven05 system (they’re CRG brakes), especially the ceramic version. 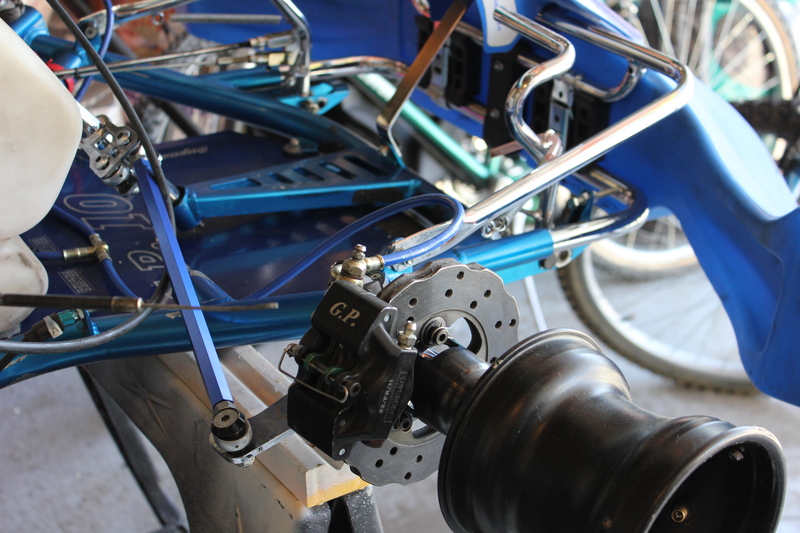 I’ve yet to drive a kart equipped with the Ven05, but it should be a marked improvement over my GP8’s Ven04 system. Definitely looking forward to hitting the track for the first time. Everything else really is just buying various bits and bobs for my GP10 that i’ve been putting off. I’ve decided that this chassis is not going to even touch the track until it has a full compliment of chassis protectors (more on that in a future post!). Why chassis protectors? Well, the rear brake rotor on the aforementioned ceramic brakes has a retail price of ~$800, so that’s reason enough for me. Plus, i’ve had too many old chassis in the past get really scraped up over the course of a season, and there’s no reason for that with all the new products on the market. The schedules for 2012 have been released, and it’s pretty much 3 main series in CO this year. Rocky Mountain Pro Kart Challenge (SKUSA), Racing the Rockies (The Track @ Centennial), and the Pikes Peak Kart Racing Club (PPKRC). I have yet to commit to one series, and i’ll probably just run the races that I can and not chase any championships. Everyone has a good program to offer, so I see no reason why I shouldnt race at least one event in each series. I’ve already pretty much earmarked 2012 to be a transitional year for myself, save some money, and get some good equipment under me. However, it’s April here, and the weather is starting to get awfully nice. I can smell the race fuel already…! Yay for a new season!